Following consultation, an Article 4 Direction was confirmed in Talgarth in December 2016. Click on this link to download a copy of the official Confirmation Notice which includes the full list of properties affected and an explanation of the classes of development property owners will need to seek planning permission for. Conservation Areas are areas or neighbourhoods of special architectural and historic interest, where it is desirable to conserve and enhance the character and appearance of the area. Conservation Areas are designated heritage assets, meaning that they are nationally, as well as locally, important and are afforded statutory protection under the Planning (Listed Buildings and Conservation Areas) Act 1990. Conservation Areas vary greatly. A Conservation Areas can be particular areas of a town where the buildings exhibit a distinctive architectural style, where there are many Listed Buildings in close proximity, or where a historic street plan and layout is still in use. In a Conservation Area it is the special qualities of the whole area that are conserved and enhanced, rather than the special qualities of individual buildings that make up the conservation area. 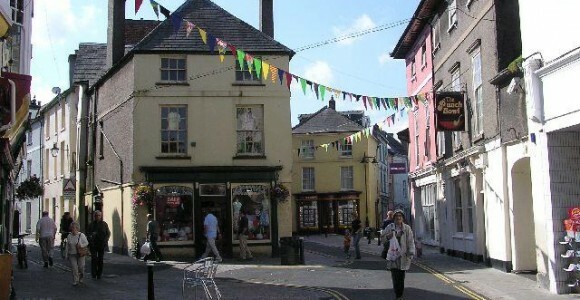 Conservation Areas are designated by Local Authorities. How are conservation areas conserved and enhanced? Simply identifying and designating a Conservation Area is not enough to secure its long term conservation. Conservation Area Appraisals, a document that formally recognises and defines the characteristics that makes an area important and identifies opportunities to conserve enhance the conservation area, are prepared by Local Planning Authorities. distinctive character of the area. This does not prevent new development, but means that planning permission will only be granted if it is demonstrated that the new development will not harm the special qualities of the Conservation Area. The Brecon Beacons National Park Authority is currently in the process of producing Conservation Area Appraisals for all four of our Conservation Areas, and includes policies within our Unitary Development Plan to ensure that the special qualities of our Conservation Areas are protected. permission to make some external alterations to your building, for example erecting a satellite dish, installing solar panels, inserting windows and applying cladding. You also need permission to demolish a building within a Conservation Area. The contribution that trees make to our Conservation Areas is also recognised, and BBNPA need to be informed of any intended pruning or felling of trees in Conservation Areas, so an assessment of the significance of the tree to the Conservation Area can be made in advance of the work.